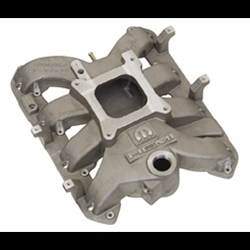 Smooth out the air entering your heads and remove the lip behind your larger diameter throttle body with a ported intake manifold. 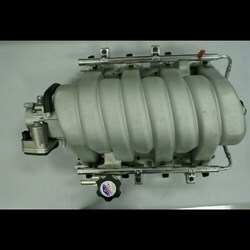 5.7L Crate Motor Carbureted Single Plane Intake Manifold, Small Plenum, Aluminum. Drilled with the standard Holley pattern. 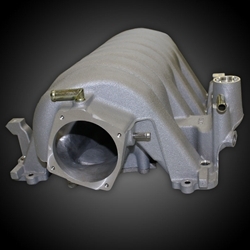 5.7L Crate Motor EFI Single Plane Intake Manifold, Low Rise, Small Plenum, Aluminum. Drilled with the standard Holley pattern. 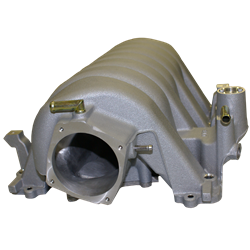 Mopar HEMI 6.1 Intake Manifold: Adding a Mopar 6.1L intake manifold to your 5.7L HEMI engine will increase its horsepower and torque. This is a bare Manifold only. You will need injectors, fuel rails, throttle body, gaskets and map sensor to make this a complete item.